One of the joys of travel is that it not only allows you to experience a place as it stands today, but can also sometimes give you glimpses into the past and what that place might have been like in years gone by. Rome is one of those amazing cities where modern life is happening amidst and among some amazing relics, ruins, and reminders of the incredible history of this city that once ruled the world. 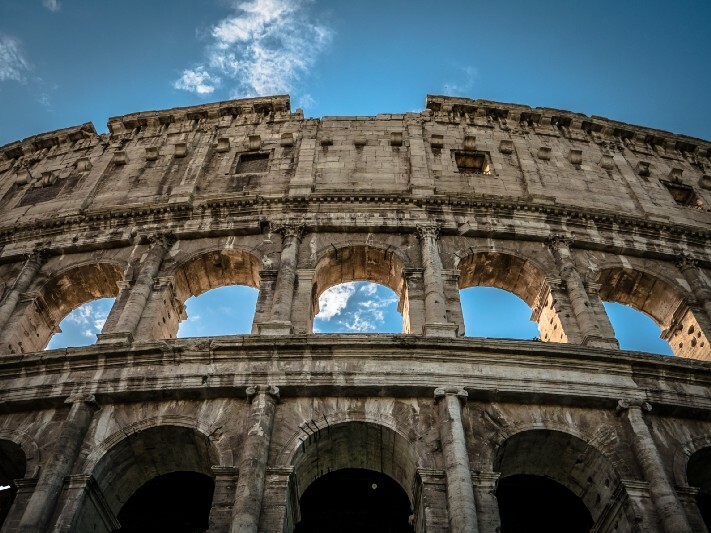 Beginning around the 8th century BC, the civilisation that began in Rome grew to become an empire that ruled over around 90 million people - around 20 percent of the world’s population at that time - and stretching across 6.5 million square kilometres. Through enormous campaigns of conquest and assimilation, Rome dominated Southern and Western Europe, Asia Minor, North Africa, and parts of Northern and Eastern Europe. 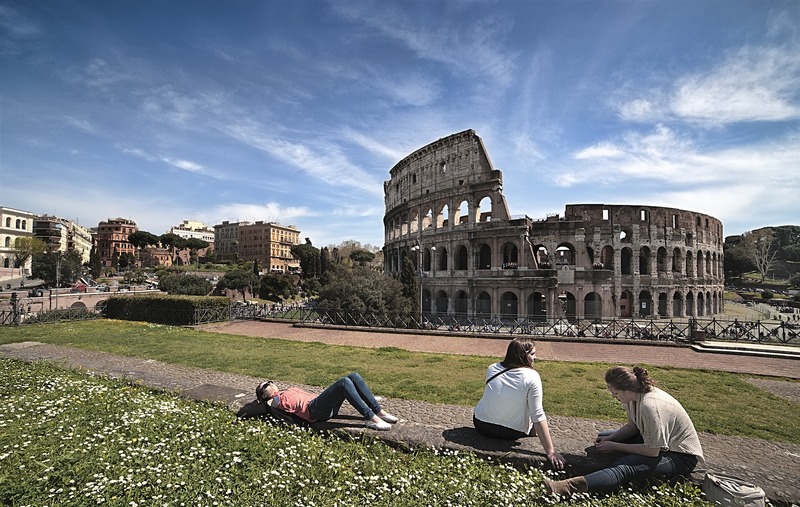 While the empire of Rome may have disintegrated and crumbled over the years, when you visit the city of Rome today you can still walk amongst some of the ancient buildings and monuments that testify to the power and might of this people that once ruled the world. The Forum is a rectangular plaza that was the central focus for several important buildings that were key to governing the empire. For centuries, The Forum was the centre of Roman life. Festivals and processions held here, this was also the venue where important speeches were made, criminal and political trials were held, as well as entertainments such as gladiator fights. 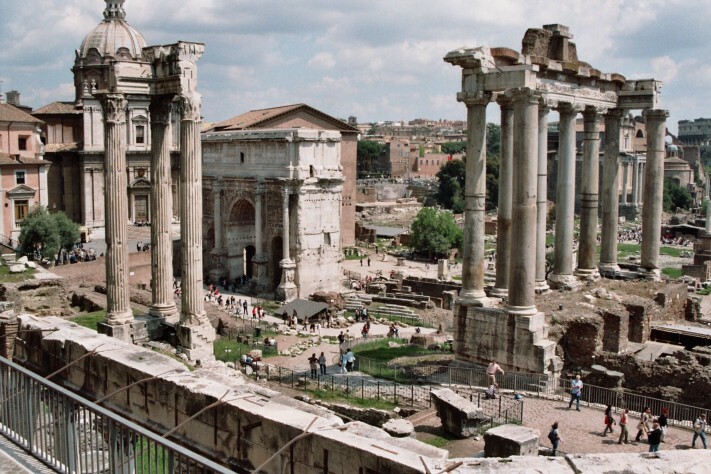 Even though it’s now a sprawl of ruins and fragments of buildings, as you wander through what used to be The Forum, you can get a real sense as to why this plaza was described as the most important meeting place in all the world and in all history. 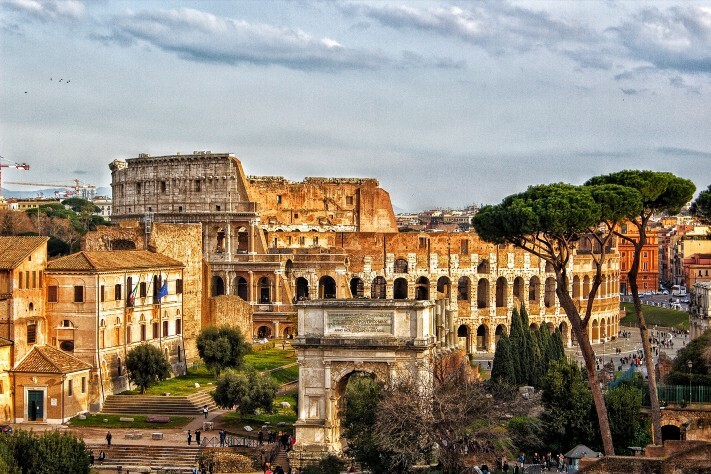 The Colosseum dominates the centre of Rome today, just as it did at the height of Rome’s power. This was the largest amphitheatre in the world. The Colosseum was particularly impressive because it was built as a free standing construction rather than built into the side of the hill as most amphitheatres of the period were built. With capacity to hold up to 80,000 spectators, The Colosseum was used not only for gladiatorial contests, but all sorts of entertainments were staged here - including re-enactments of battles, the hunting of animals brought to Rome from across the world, dramas and plays, as well as the execution of prisoners and the persecution of political and religious enemies. This stunning building was first built during the reign of Augustus (27 BC - 14 AD) and then rebuilt by the emperor Hadrian, around the year 126 AD. 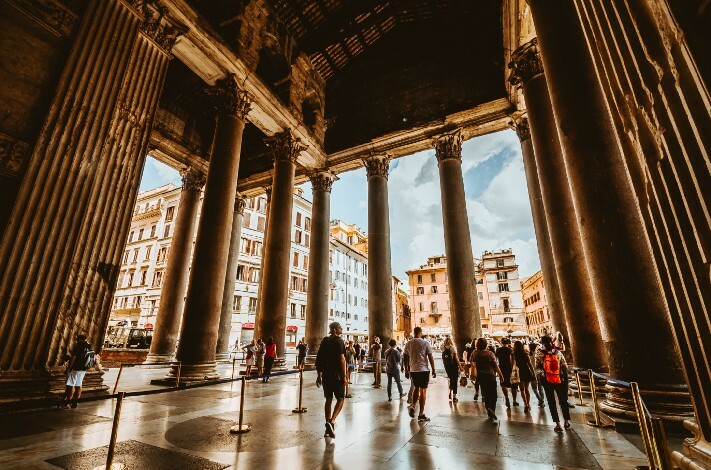 With its striking columns, massive dome, and a central opening to the sky, The Pantheon is an impressive feat of engineering and construction. Today, it is still the world’s largest un-reinforced concrete dome. The Pantheon has been in continuous use throughout its history.